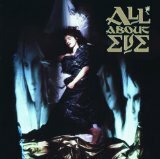 All About Eve are a British rock/pop band. 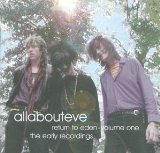 The creative core consists of Coventry-born Julianne Regan (vocals) and Andy Cousin (bass guitar), with other members changing over the years. Julianne Regan, a former journalist, played bass in an early line-up of Gothic rock group Gene Loves Jezebel before leaving to join All About Eve, previously known as the Swarm. 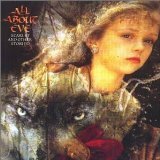 The initial core of All About Eve was Regan, guitarist Tim Bricheno, and bassist Andy Cousin from Aemotti Crii. As a three-piece (plus a drum machine), they released a series of independent singles in the mid 1980s including "D for Desire", "In the Clouds" and "Flowers In Our Hair". After Regan sang backing vocals for The Mission's God's Own Medicine album, the band received greater attention and were signed to Phonogram. Drummer Mark Price was added around this time.